On July 16, three men kidnapped Ruochen “Tony” Liao, a 28-year-old Chinese national who co-owns a Costa Mesa luxury-car dealership, from San Gabriel Square. Security cameras captured footage of the kidnappers driving away in a black minivan and a black SUV. Shortly after the abduction, the kidnappers demanded Liao’s parents in China pay a $2 million ransom. The parents refused to pay. The FBI has offered a $25,000 reward for information that leads to the recovery of Liao, alive or dead. Liao’s parents have offered a $150,000 reward for information that leads to their son’s safe return. Liao is 5 feet 6 inches tall and weighs about 130 pounds. 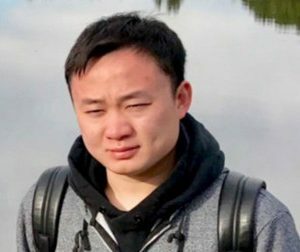 FBI officials are asking anyone with information about the kidnapping or Liao’s location to contact FBI agents in Los Angeles at 310-477-6565. With any luck these guys will get caught by the FBI instead of the Chinese. The Chinese do not need to pay any ransom, they have a couple of billion people that will eventually find the culprits.